Track listing: Homesick James – Crossroads | J. B. Lenoir – I Sing Um The Way I Feel | Elmore James – It Hurts Me Too | Buster Brown – Doctor Brown | Sonny Boy Williamson – No Nights By Myself | Willie Mae Thornton – Tom Cat | Freddy King – Driving Sideways | Lowell Fulsom – Talking Woman Blues | Lightnin’ Hopkins – Wonder What Is Wrong With Me | Frankie Lee Sims – What Will Lucy Do | Otis Rush – I Can’t Quit You Baby | Junior Wells – Prison Bars All Around Me | Sammy Myers – Sleeping In The Ground | Tarheel Slim – Number nine Train. 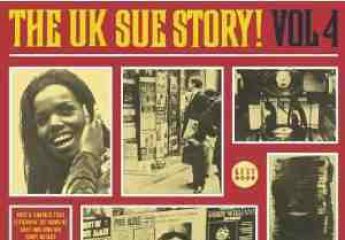 Tracks selected from UK Sue LPs and compiled by Guy Stevens; this album was issued with Island labels.